This program provides basic training to any person wishing to acquire the skills needed for outings on horseback outdoors safely. Those who so desire may receive their Trail Rider Certification 1 to 5 after evaluation. However, this training program can move forward effectively without having to integrate the system of certification. Modular training can meet specific training needs and achieve higher skill levels. Those modules are provided by EC's certified Trail riding Instructors or Guides. All module are provided with a lesson plan, handbook and practical experience. 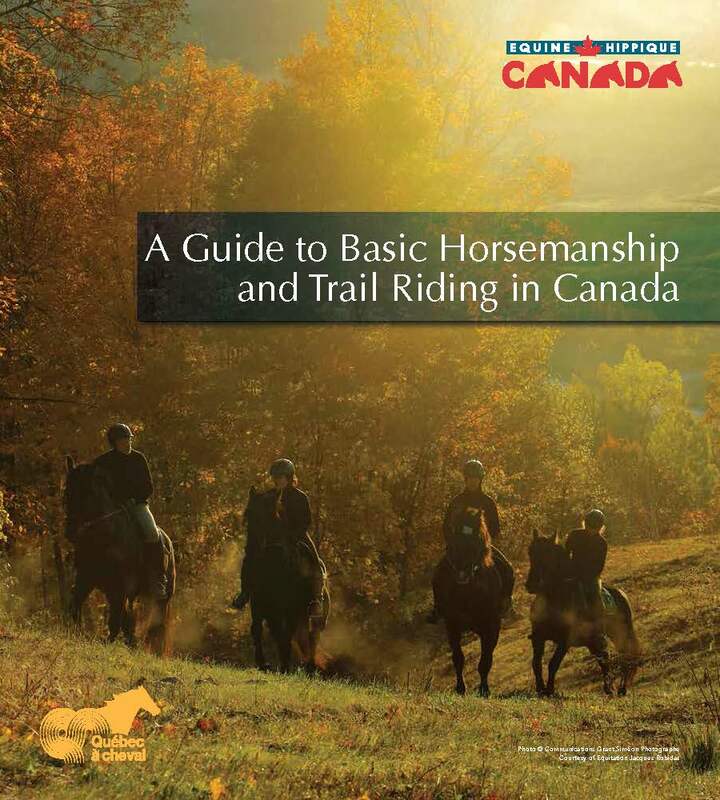 Here are some of the modules featured by Equine Canada Trail Riding and Tourism certification program.